Results of public research should be accessible to everyone, but the reality is different: Publishers lock scientific publications behind paywalls and make huge profits in doing so. In his capacity as President of Science Europe, FNR Secretary General Marc Schiltz and is at the head of an initiative that wants to abolish the paywalls. In his famous novel “The Name of the Rose”, Umberto Eco describes a monastery with a library containing all scientific studies, where almost no person is allowed to enter. This story plays in the Middle Ages and is of course fictional. Today we are in the 21st century, and unfortunately, reality is not far from this story. Scientists and researchers publish their results – the newly-generated knowledge – in scientific journals. However, accessing those results can come at a high price. This despite the fact that, with digitalisation, these journals are rarely published on paper, but increasingly only the internet – behind a paywall. A handful of publishing companies have created a near monopoly, highly profitable at 10 billion US Dollars per year. The true scandal is that a large part of this research was financed with public funds. Public funds are invested in research via universities and public research institutions, but the outcomes of this research are not freely available. Other researchers, the public, but also doctors, patients and patient associations or NGOs have to pay in order to access the latest scientific studies and results, even when the research was made possible by the support of public funds. In less developed regions such as Africa, Asia but also the southeast of Europe, access to scientific studies has become unaffordable. 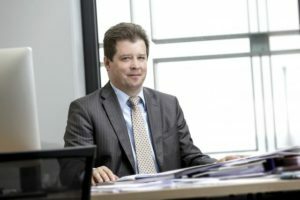 In order to change this, I, as President of the European research funding agencies, have launched a new initiative together with the European Commission: Plan S.
This initiative is about changing the scientific publishing system on a fundamental level, by way of funding agencies, such as the FNR, making it mandatory that the findings of the research we fund must be published “Open Access”, thus freely available to everyone. It is a drastic change. Publishing companies are naturally not pleased, and are lobbying heavily against the initiative. Plan S also means a change for researchers, as they may no longer be able to publish in their favourite journals. However, researchers and universities must also take their share of responsibility toward society. It cannot continue that public funds have to handed out twice – once for the research and again to access the results of said research. Knowledge generated by scientific research must be freely available.